West Ham forward Modibo Maiga has joined Saudi Arabian side Al Nassr for an undisclosed fee. The 27-year-old Mali international has signed a two-year contract with the Saudi champions. 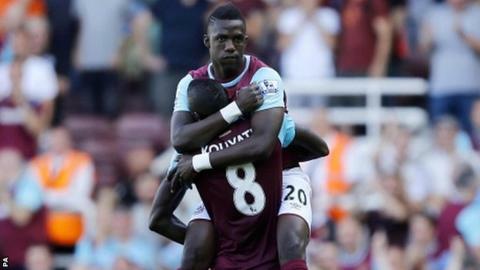 Maiga joined West Ham for £4.7m from Sochaux three years ago but has since had loan spells at QPR and Metz. He came off the bench to score the Hammers' third goal in their 4-3 home defeat by Bournemouth last week, his seventh in 45 appearances.